A study published Wednesday in the journal Science Advances highlights how tracking antibiotic-resistance genes in bacteria found in urban wastewater treatment plants could help scientists and public health officials get an accurate picture of resistance in a city. According to NPR, the team of European scientists validated the approach by using it to identify trends in antibiotic use and resistance across Europe. "This is really important work," said Amy Pruden, a professor of civil and environmental engineering at Virginia Tech, who was not involved in this study. "Some call [antibiotic resistance] the biggest health challenge of the 21st century. We've been studying it in hospitals and clinics and the problem is not going away. Environmental surveillance is a big missing piece of the puzzle." Programs like the National Antibiotic Resistance Monitoring Network in the U.S. or the European equivalent, European Antimicrobial Resistance Surveillance Network, monitor levels of resistance by collecting samples of bacteria from people in hospitals, according to NPR. This monitoring is happening late in the game, after the resistant bacteria have already caused harm, and can be expensive and time-consuming, according to the study. 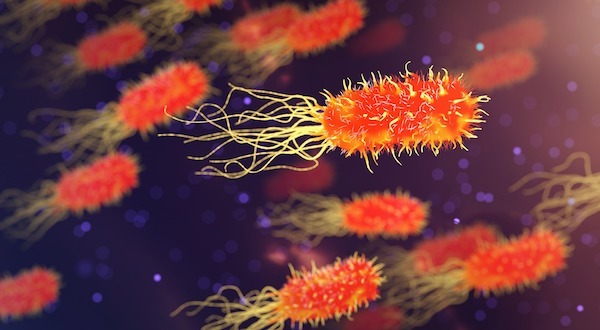 According to NPR, many scientists and public health officials are calling for a more holistic approach that considers the broader ecosystem in which the bacteria live. Antibiotic-resistant strains of bacteria get a leg up in our guts, where they outcompete susceptible bacteria when doused with antibiotics. According to NPR, some portion of these resistant bacteria get flushed down the toilet and sent to wastewater treatment plants. "If you want to see a mirror of the urban environment from a microbiological perspective, you have to look at wastewater sewage," said Célia Manaia, a microbiologist at Universidade Católica Portuguesa who co-led the study. Manaia said the concentration of antibiotic-resistance genes in sewage makes treatment plants ideal monitoring sites. However, whether this monitoring would be feasible and accurate on a larger scale was unknown. Manaia and her colleagues set out to demonstrate that it could work by using existing data as a reference. According to NPR, the research team collected wastewater before and after treatment in seven European countries: Finland, Norway, Germany, Ireland, Spain, Portugal and Cyprus. The team quantified the relative abundance of over 200 known resistance genes in both raw sewage and treated water.